Cancer occurs when cells develop changes that allow them to grow uncontrollably. Our cancer biology researchers are working to understand what causes these changes, how this leads to cancer, and what factors determine the success of cancer treatments. This is leading to better ways to diagnose and treat cancer. The changes that make a normal cell become cancerous. The genes and proteins required for the growth and progression of cancer. New ways to treat cancer that target molecules essential for the cancer cell’s growth and survival. How to select the best treatment for a person with cancer. The growth of cells and tissues in the body is under tight control. This allows the body’s systems to work together. Sometimes it is important for certain cells or tissues to grow more than others. Examples of this are during the growth of a child, and the regrowth of tissue after an injury. There are many genes and proteins in cells that regulate cell growth in response to appropriate signals. Cancer is initiated by a cell dividing uncontrollably. This is caused by changes to the genetic material (DNA) of the cell that alter the normal growth control genes and proteins. Cancer development is usually triggered after a single cell has acquired several changes that work together to drive cancer formation. Cancer cells typically contain higher-than-normal amounts of proteins that promote cancer growth. They also lack certain proteins that, in normal cells, limit growth. Usually cancer-causing changes occur by chance (spontaneously). In some cases, cancer-causing genetic alterations are inherited from parents. Cancer-causing viruses can also introduce cancer-causing changes to cells. For example, the human papilloma virus (HPV) changes the DNA of cells in a woman’s cervix, which can lead to cervical cancer. You can read more about the genes that are linked to cancer in our cancer page. What makes a cancer cell? Cancer cells have features that distinguish them from normal cells. Many processes that occur in cancer cells are also seen in normal cells. The difference between cancer cells and normal cells is how these processes are controlled. It is the improper regulation of cell division, cell death and blood vessel growth that drives cancer formation. The features of cancer cells are caused by abnormalities in specific proteins. These abnormalities can be either an excess amount of, or a lack of, a particular protein. In some cancers, the way a protein functions, called its activity, can be changed. This is often caused by changes, called mutations, to the gene giving instructions for making the protein. Cancer is treated either by halting the growth of the cancer cells, by killing the cancer cells within the body, or by surgically removing them. If all the cells in a cancer are not completely killed or removed, there is a risk that the cancer will ‘recur’ or ‘relapse’. Understanding how changes in genes and proteins give cells cancer-like features is leading to new treatments for cancer. Potential new anti-cancer agents are being developed that block the function of the proteins that allow cancer cell growth. Our medicinal chemistry page explains how basic cancer research can be used to develop potential new anti-cancer treatments. 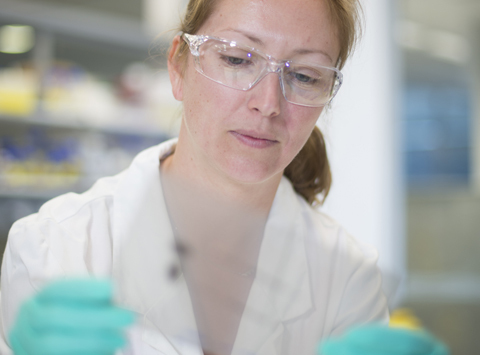 Our clinical translation page explains how our cancer discoveries are being translated into better treatments for patients. Every human cancer has developed because of unique changes to genes and proteins. Even two people’s cancers that have arisen from the same cell type can be very different at a molecular level. How quickly the cancer grows. Whether, and where the cancer cells spread around the body (metastasise). How well the cancer responds to different treatments. Whether the cancer will come back (relapse) after treatment. 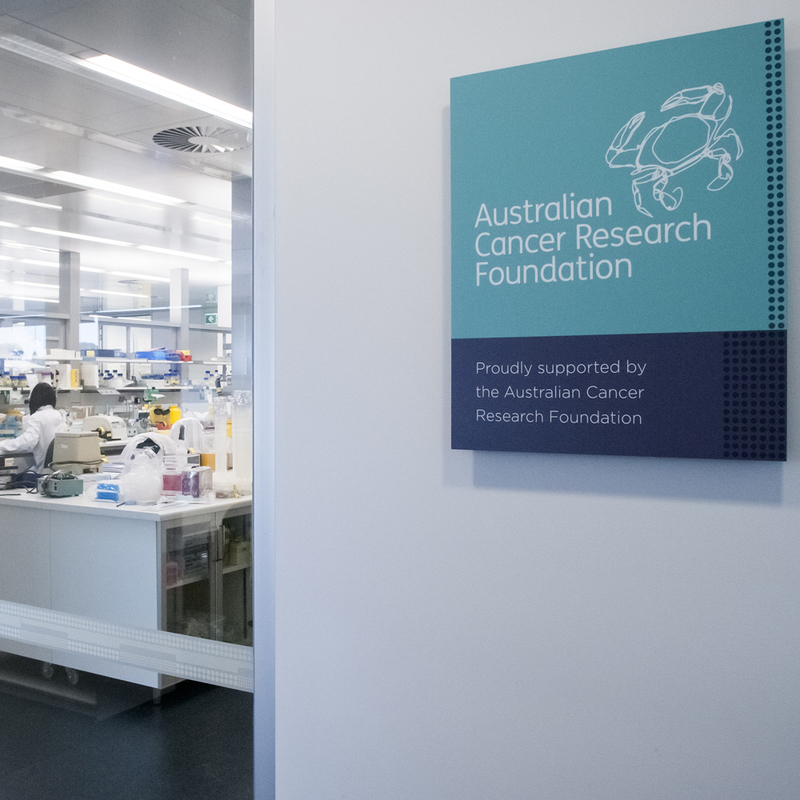 Our researchers are determining how people with cancer can be matched to the best treatment for their individual disease. You can read more about this on our personalised medicine page. Joan Heath and colleagues discovered a genetic defect that can halt cell growth and force cells into a death-evading survival state.